BlazBlue: Central Fiction is the newest installment in the storied BlazBlue franchise and stands alone as the pinnacle of next gen 2D fighters! 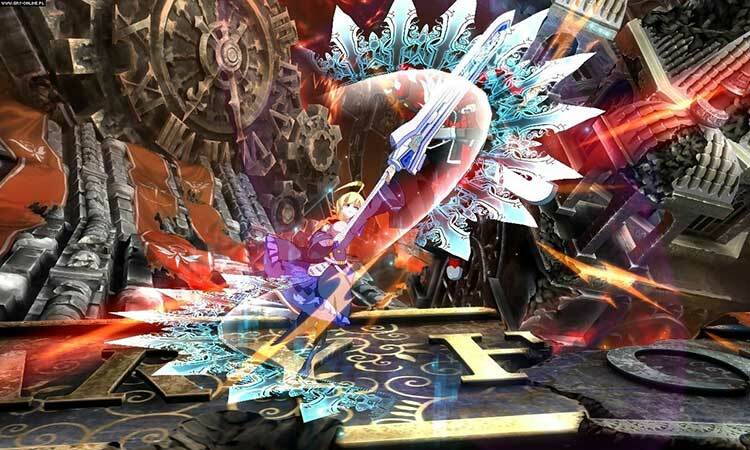 Like a well-timed 2D punch, BlazBlue: Central Fiction bashes massive amounts of content and innovation into one slick title that hits hard and keeps the pummeling steady! 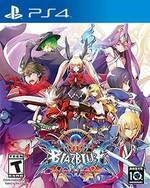 Blazblue Central Fiction sits within a strange pocket for me of being so fantastic I can’t help but recommend it. But the trajectory of this series is pretty apparent at this point, and I can’t help but feel like you’ll get an even better experience with being introduced by the previous game and jumping on the re-release this game will inevitably receive. Still, the fighting engine is a work of art and that’s the core of the game. If you won’t be bothered by piecing together the story and no English voicover, you can’t go wrong. 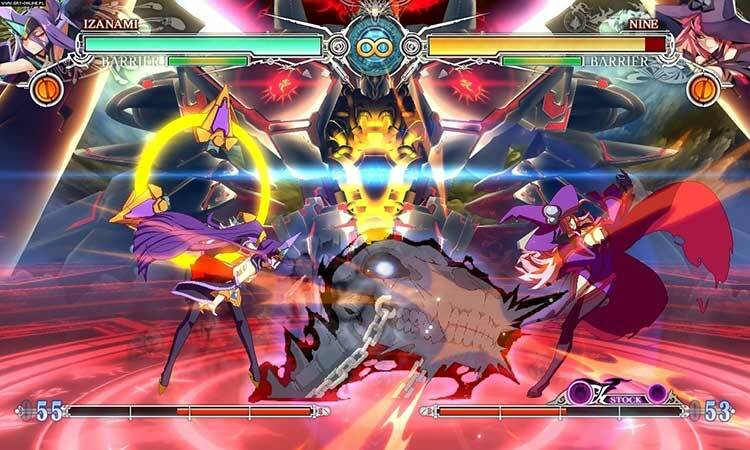 Blazblue: Central Fiction features masterfully complex battle systems, and although it requires a fair amount of patience, once you’ve grasped the basics you’ll be landing punches, specials in combos that feel all the more satisfying not only to achieve, but look at too! Even with an overblown story mode that sees the action take a back seat, Blazblue: Central Fiction is a solid entry in the eccentric franchise and a remarkably decent fighting game. If BlazBlue: Central Fiction is the end (and I don't think it will be), it's a fitting one. It packs in pretty much everything past games have offered, and then brings in several great new characters and one of the biggest stories in fighting game history. BlazBlue is one of the few fighting games that really made narrative a large focus, and it manages to tell a more interesting story than the XBlaze visual novel spin-offs. Still, even with those complaints, Central Fiction adds enough characters, mechanics and fine tunes its already nearly flawless gameplay into something that feels as amazing to play as it looks. It’s currently my favorite fighting game on the market, and I have no doubt that I will be throwing dozens of more hours into it in the months to come. If you don’t like 2D beat ’em-ups (and especially if you don’t like anime either) this game isn’t going to change your mind about either. And you do get the feeling that Arc System Works are wisely stopping while they’re ahead, given the relative lack of new gameplay ideas. But as it is, Central Fiction is a fine way to end the series, and we hope that rather than being the end of the story it’s just the closing of the current chapter. 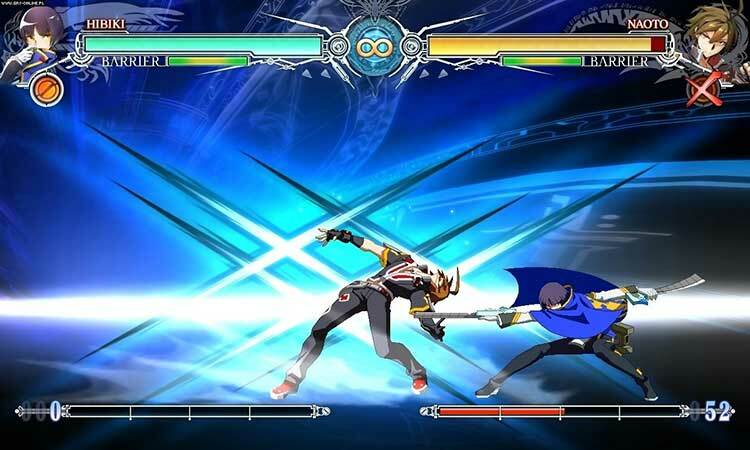 More gameplay in the story would help alleviate some of the tediousness, and the lack of English dub may be disheartening for some, but, if you look past that you're rewarded with great combat, deep mechanics and a wealth of content that will keep any BlazBlue fan (or any fighting fan for that matter) entertained for countless hours. Where the story falls short, the gameplay rises up. The fighting is fun to pick up and play, but hard to master. There’s no shortage of combos and character specific special moves, making finding your character of choice and fun and personal experience. For those that are fans of the series, Central Fiction is an absolute must have. BlazBlue: Central Fiction does everything a continuation should: change nearly nothing and simply expand on what has worked in the past. There are more characters and a very complex story, but this game is not any different than any of the past BlazBlue entries. Central Fiction set out to be the be all and end all BlazBlue package, and it pulls it off marvelously. With the largest cast of characters to date, and a number of extra modes, the amount of gameplay variety is staggering. While the story ends the struggle of protagonist Ragna The Bloodedge nicely, it’s disappointing to see so many other great characters barely given anything to do. La pregunta obligatoria para el aficionado a la franquicia es si merece la pena hacerse con BlazBlue: Central Fiction en el caso de que ya contemos con alguno de los títulos anteriores. 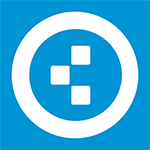 Pues bien, aquí, y al contrario que en la edición Extend de Chronophantasma, las novedades sí que son lo suficientemente numerosas y relevantes como para que merezca la pena el desembolso. BlazBlue cierra el ciclo con la producción esperada: lo mejor de toda la franquicia salpicado con nuevos personajes, un modo historia interminable y redefiniendo los elementos jugables que han hecho grande a la franquicia 2D para aguantar las batallas que vengan durante los próximos años. Ciertamente, han sido muchos juegos lanzados hasta ahora, pero no es exagerado decir que Central Fiction es el BlazBlue definitivo. BlazBlue: Central Fiction es un título creado para auténticos magos del stick. Rápido, exigente y repleto de técnicas de lo más variopintas. Posee una gran cantidad de personajes (35), varios modos de juego de lo más originales y extras como una inmensa galería de ilustraciones, pero si no eres un maestro de las artes marciales, no lo disfrutarás. BlazBlue Central Fiction es el mejor broche de oro para la saga por con contenido, diversión, modos y un cierre de la historia que, al menos para los personajes protagonistas, pone fin a este arco de manera satisfactoria. Requiere paciencia y dedicación, como prácticamente cualquier juego de lucha, pero también existen suficientes ajustes para empezar pie y suavizar la curva de aprendizaje de un juego o luchador completamente nuevo. Eigentlich hätte Central Fiction der abschließende Höhepunkt der BlazBlue-Serie werden können. Und inhaltlich gibt es in der Tat wenig auszusetzen: Es gibt genug Modi, um die mehr 35 Kämpfer auszureizen. Die bewährte und mit akkurater Steuerung sowie punktgenauer Kollisionsabfrage versehene Mechanik wird verfeinert sowie um gelungene Elemente ergänzt. Les modes de jeux classiques sont bien entendu eux aussi de la partie, que ce soit en solo ou en multi, et avec les nombreux ajustements de gameplay qu'a subi le titre, nul doute que vous aurez de quoi faire chauffer le stick arcade de nombreuses heures durant cet hiver ! Tout simplement le meilleur épisode de la série et le meilleur jeu de baston du moment avec Guilty Gear Xrd Revelator. Ma petite Noël est heureuse et a des étoiles plein les yeux ! Si Central Fiction est à marquer d’une pierre blanche, c’est non seulement grâce à ses qualités mais aussi et surtout parce qu’il représente la conclusion définitive de la saga Blazblue. Certes, ce n’est peut-être pas le feu d’artifices attendu en raison notamment d’une esthétique inégale ou encore de certains modes de jeu rébarbatifs, surtout comparé à son aîné Guilty Gear Xrd Revelator nettement plus spectaculaire.